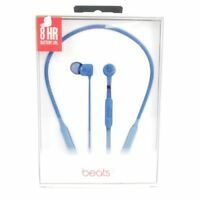 Beats by Dr. Dre BeatsX Wireless Headphones - Blue NOT WORKING/BAD BAT? Beautiful Headphones And Worth Every Penny! I have never owned a pair of Beats Headphones ever prior to these but I have tested them at stores before so I knew they were high quality. These do not have overwhelming bass like Beats is usually known for but to me the bass is perfectly balanced for country, rock and any other genre where you don't want a lot of bass and want to hear lyrics more clearly. 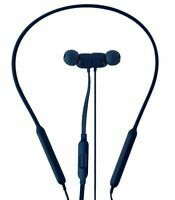 These were an incredible value and the headphones are magnetic so they will stay clamped together around your neck if you are just doing light activities. I don't have an iPhone cause I can't stand them personally as I think they are overrated and I'm a Android user cause I love the customizing features of Android and so I paired these to my Samsung Galaxy with no problem whatsoever just by holding down the power button on the headset to go into pairing mode. 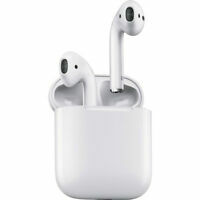 I am so glad I bought these headphones and I would definitely buy another pair so with that being said I definitely recommend these headphones to anybody. 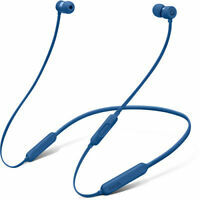 Great sound, great phone call quality, super light weight.